The company MITSA started the second edition of the program “When I grow up, I want to be like you”. This program is a joined collaboration between FOEG, Acció 10 Generalitat de Catalunya ,Girona city council and the Department of Education of the Catalan Government. This project has the objective of bringing businesses closer to more than 600 students from primary schools in Girona’s province. 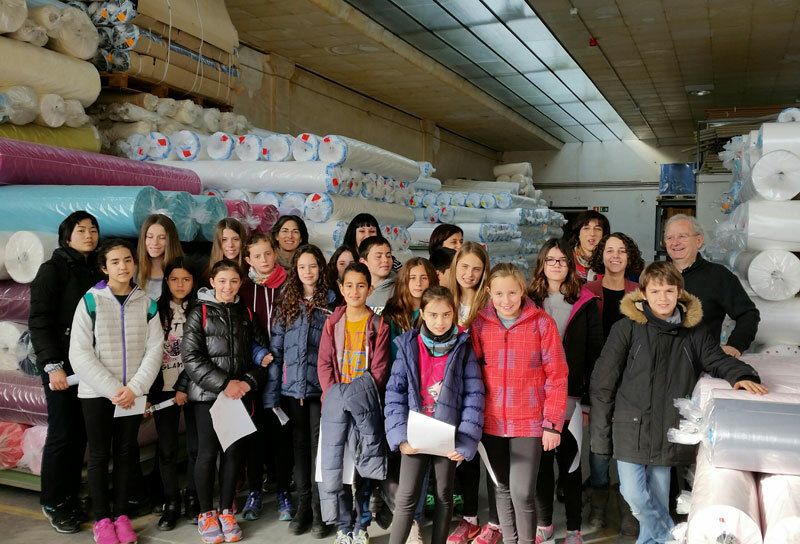 Mitsa received the first group of 20 students from Juncadella primary school from La Cellera de Ter. They could visit our premises during working hours, learning all our industrial process: knitting, dying, laminating and finishing departments.